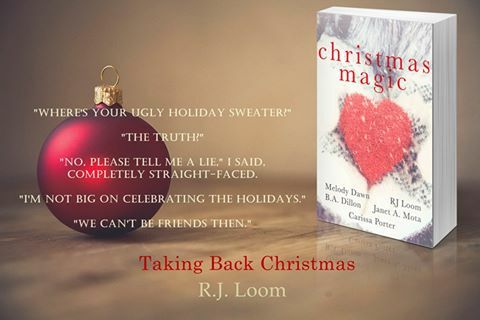 Review – Christmas Magic: An Anthology – 5 Stars!!! Tyler heads back to Houston to renovate his late uncles house. When his old best friend falls into his path they bring much more than a great forgotten friendship with them. Is Tyler ready to explore the possibility of love? A Christmas Connection is a sweet, beautiful, and hopeful romance. Dawn Melody has written a sweet story of love, forgiveness, and rediscovery. Tyler is a complex, bright, and clever man with a past that haunts him. Kristen is full of life and has an aura of happiness that surrounds her. Regardless of her loss she finds happiness in everything she does. The connection that Tyler and Kristen share is instant and they truly deserve the happiness they bring to each other’s lives. They give hope and show us that around the corner there is someone waiting just for you; it’s just a question of when fate will have you cross each others paths and to never lose faith. This short story had me captivated from the first chapter and I loved all the characters equally. 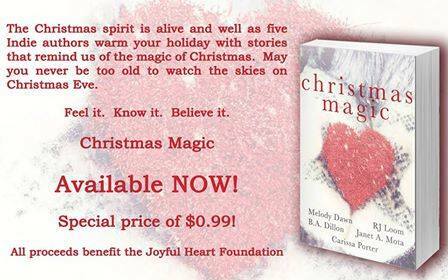 This story is sure to bring a smile to your face, warmth to your heart and have you feeling the true spirit of Christmas. B.A. 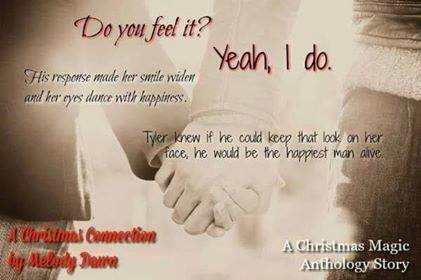 Dillion has brought together the characters from her Time series and written a wonderful and hopeful Christmas story full of love, happiness, joy, and surprises. I haven’t read any of the Time series and I didn’t feel I needed to, to be able to fully enjoy and appreciate this sweet short Christmas story. That is the true beauty of this Christmas spin off. It’s great for those who have read the series to get a little something extra and it’s a great story to intrigue us readers into exploring her Time series and even if you don’t feel the need to explore it, you will still enjoy this novella and find their story bring warmth to your heart. Their story shows us the little ways fate can play a part in bringing people together and how important it is to spend Christmas with the people you love and to rejoice and celebrate in each others news of happiness. This story brought tears to my eyes. Two beautiful souls, one broken and one repairing; together they made a whole. This story is full of hope and love. Both Christian and Eve had endured a few rough years. Whilst Eve was taking advantage of the new life she had been given, Christian was being sucked in by his grief. Together they discovered that life was to be lived for in the moment and to not worry about the past, the future, or the what if’s. 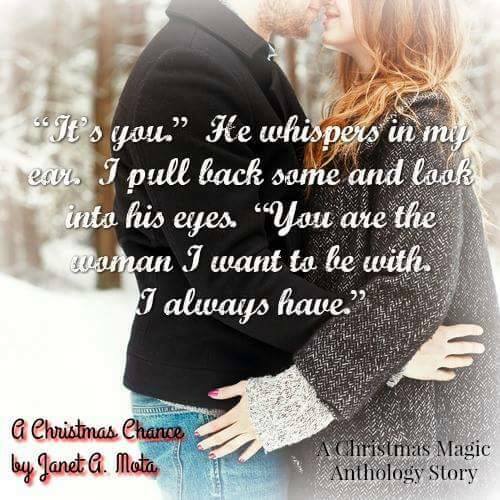 This sweet Christmas novella touched my heart and will forever stay with me. Christian and Eve’s start to a new life was Christmas Magic at its finest. This story made me beam! This story from start to finish is beautiful, magical and heart warming. A story of two people who were always meant to be and are so perfect together. It’s a mushy kind of story and for me it was a quick festive read full of love; it was perfection! I love that Carissa Porter decided to debut her writing by releasing a novella as part of anthology; she not only delivered a well thought out story, she also gave us a glimpse of what she is capable of and personally I feel she is an author to watch! This sweet story is full of love and happiness with a hint of sadness. And in a clever, developed way, has the reader at one point feeling shock and concern. It’s well written and cleverly plotted. I’m happy to read that Hannah has more of a story to tell and I look forward to reading it in 2017. Overall this anthology is full of Christmas, festive cheer and is the perfect collection of stories to pick up and read when you have a spare half an hour, or to read a story before going to sleep. It’s a great companion for taking on holiday too. It’s full of romance and happiness at a time of year we need it most. I know for sure that these are authors I will be reading in the future.